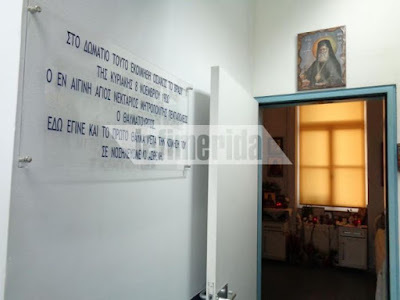 "In this room Saint Nektarios of Aegina, the Metropolitan of Pentapolis and Wonderworker, reposed venerably on the night of Sunday 8 November 1920. Here also he did his first miracle after his repose to a sick man." 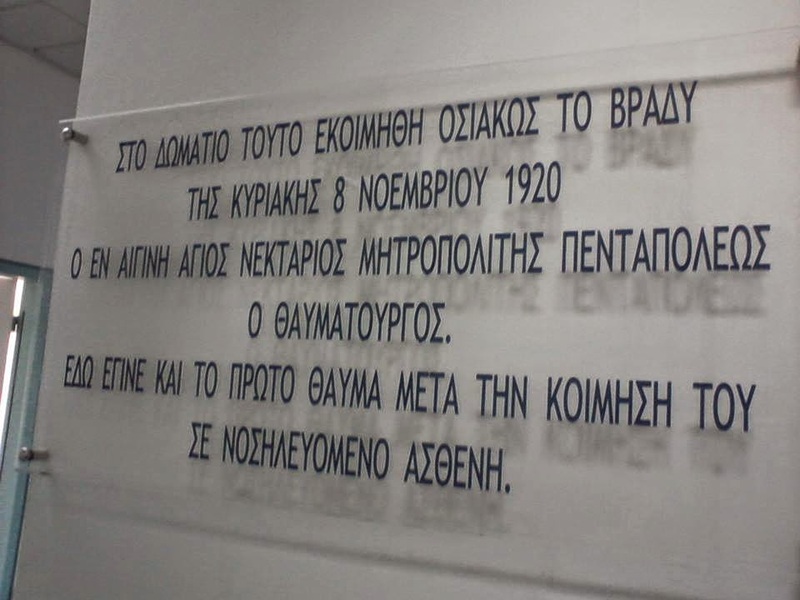 Saint Nektarios reposed in Athens on the evening of November 8, 1920, at the age of 74, following a two month hospitalization for prostate cancer. The commemoration date for his feast was later set for the next day, November 9, because November 8 is the feast of the Synaxis of the Holy Archangels. During the last days of his life, the Saint was in the room for the incurables of the hospital, among many poor patients who were at the point of death. Beside his bed there was a patient who was paralyzed for years. 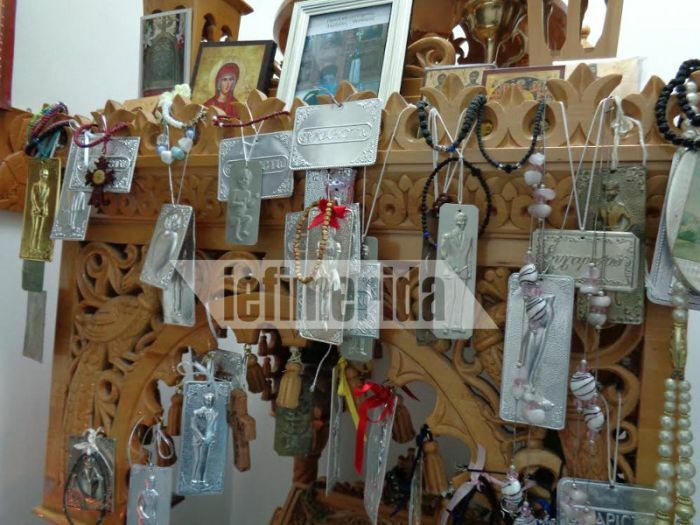 As soon as the Saint gave up his spirit, a nurse of the hospital together with the nun Euphemia (who with nun Agapia from Aegina was by the side of the Saint the entire time of his hospitalization), began to prepare the holy body for transportation to Aegina and burial. 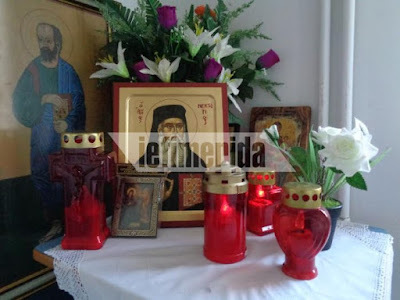 When they removed the old sweater of the Saint, they placed it for convenience on the bed of the paralytic and continued preparing the body. Strangely, the paralytic patient at once became well and rose from his bed, praising the Lord. This was the first miracle after the repose of the Saint, through which the Lord confirmed the sainthood of Metropolitan Nektarios. One of the nurses of the Saint was named Stasha Kalokagatho, whose husband suffered from an incurable illness. Stasha, after the repose of the Saint, wiped a little bit of myrrh with cotton from the forehead of the Saint, and anointed with this her sick husband, who was instantly cured and attended the funeral ceremony of Saint Nektarios in Aegina. It is worth mentioning that the gauzes removed from the holy body were fragrant and that is why the nurses did not throw them into the furnace (as usual) but they buried them. 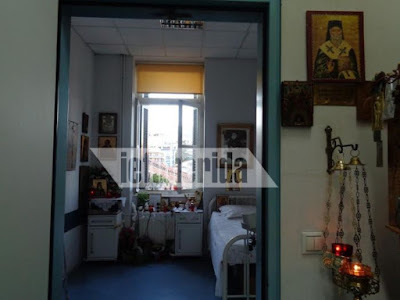 Today the hospital room in which the Saint reposed is a shrine dedicated to the Saint in Aretaeio Hospital in room 2 on the second floor, among others who are suffering with cancer and undergoing surgery. 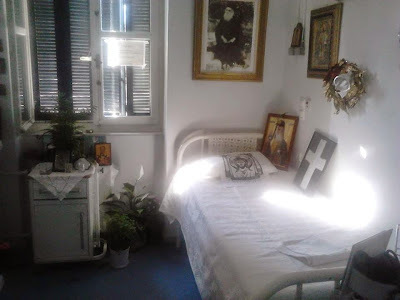 Previous to 2008 the bed on which the Saint reposed was kept in a storage area, but in 2008 it was returned to his hospital room. There a vigil lamp continuously burns before his all-revered icon. 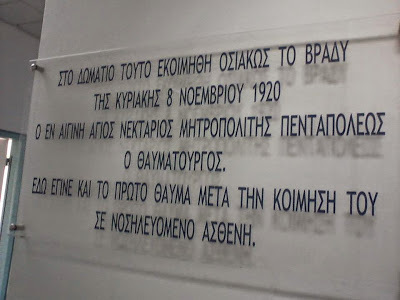 One surgeon of the hospital says: "Before I do a surgery, I light a candle and always ask for the help of the Saint." 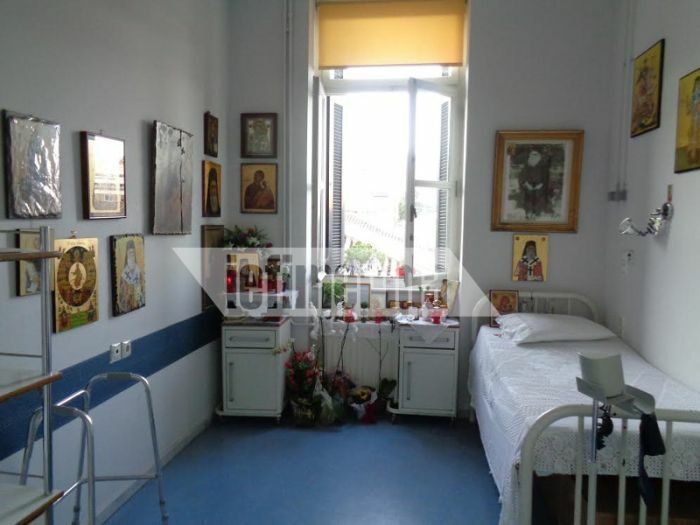 Other doctors and nurses also say they begin their day by coming to this room and saying a prayer, seeking the aid of the Saint. Crowds of faithful visit this room daily, especially the sick, and leave physical and invisible tears as they pray to the philanthropic Saint. This included the late Archbishop Christodoulos of Athens and All Greece, who would daily come to this room when he was suffering from cancer in 2007. 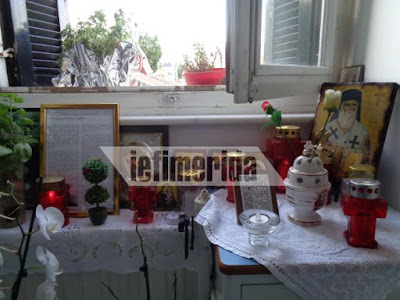 Saint Nektarios gives the faithful courage and strength by reminding them that even though they may hurt mentally and physically, it is still possible to have constant contact and communion with God.